When the bond of love, marriage or a life partner relationship breaks down and a future together as a couple is no longer possible, partners are faced with many difficult and painful decisions. They together, can agree to use mediation to untangle their entwined lives and that of their children. Both parties work through the mediation process to achieve the best possible outcome for themselves individually and their children. Parents are generally the best placed people to decide what is the best possible outcome for the family they created in happier times. The shattered dreams – an unknown future. Who will love and care for the children. Parenting alone. Two addresses –where is home. Division of assets and liabilities. Self-care when faced with separation. The alternative is court where a judge will decide on your behalf with the assistance of barristers and legal representatives. The facilitative environment of mediation is much more conducive to respectful co-decision making in the future than the adversarial environment of court orders. Where both parties may have worked together in a family business, their respective roles in the business may also need be included in their discussions. Both parties together with the assistance of a mediator decide how to separate their lives. What they shared in assets/liabilities, may also be addressed and if desired form part of the separation agreement. In a family business where both parties had a vested interest, their separation may have implications for the future of the business- mediation does give the time and space for all concerns and future options to be discussed. 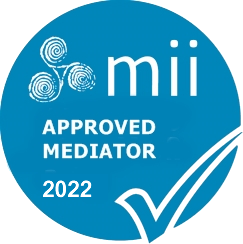 A mediated agreement is generally more workable as it is designed and constructed by both parties without undue influence only facilitated by a suitably qualified and experienced mediator. Mediation is the least traumatic and more respectful way to bring closure to a marriage.